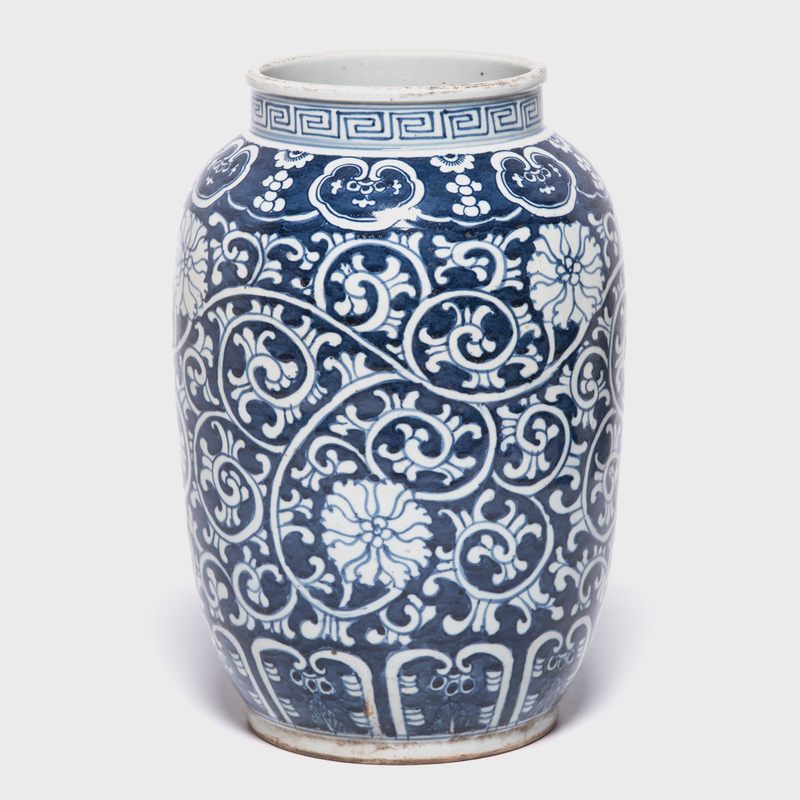 Tea has an auspicious beginning—it was (allegedly) enjoyed by the Buddha himself, and cakes of tea as large as wagon wheels were given to Chinese emperors as tribute. 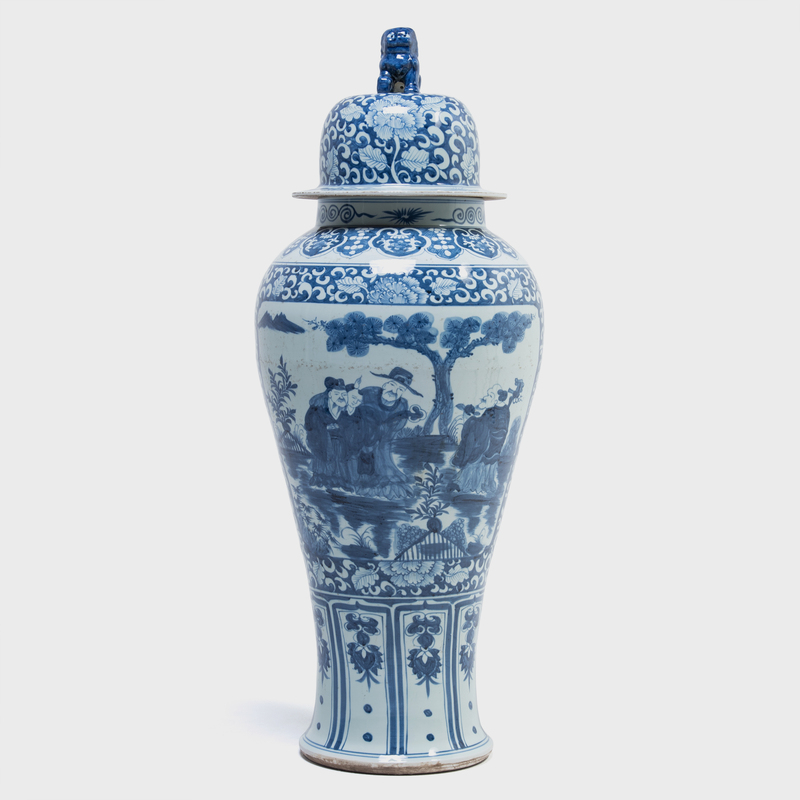 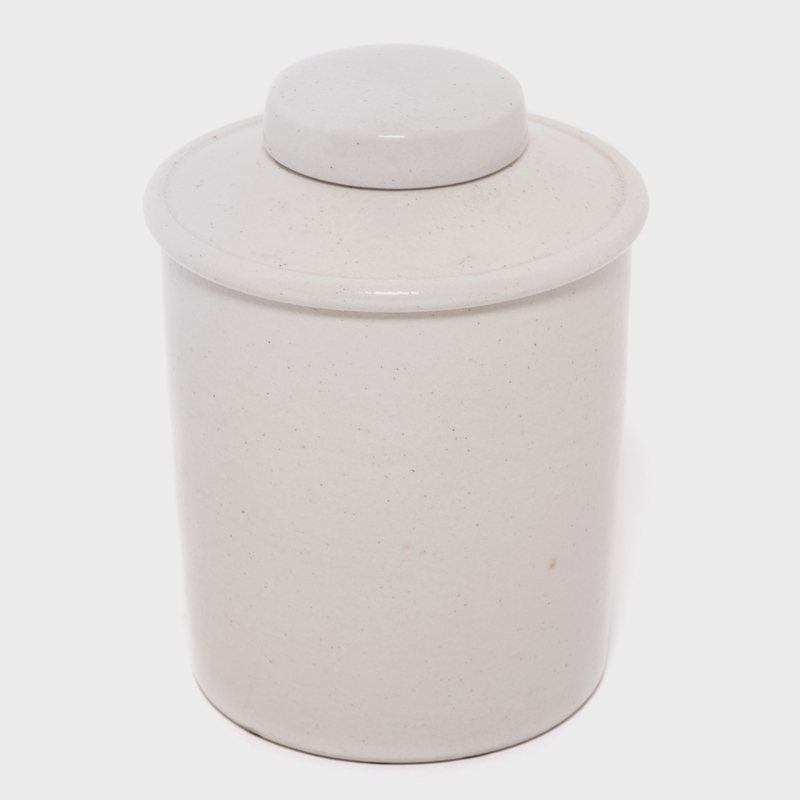 Tea drinking was a symbol of upper-class refinement in ancient China and in later centuries, when this provincial tea leaf jar was made, a staple in every home. 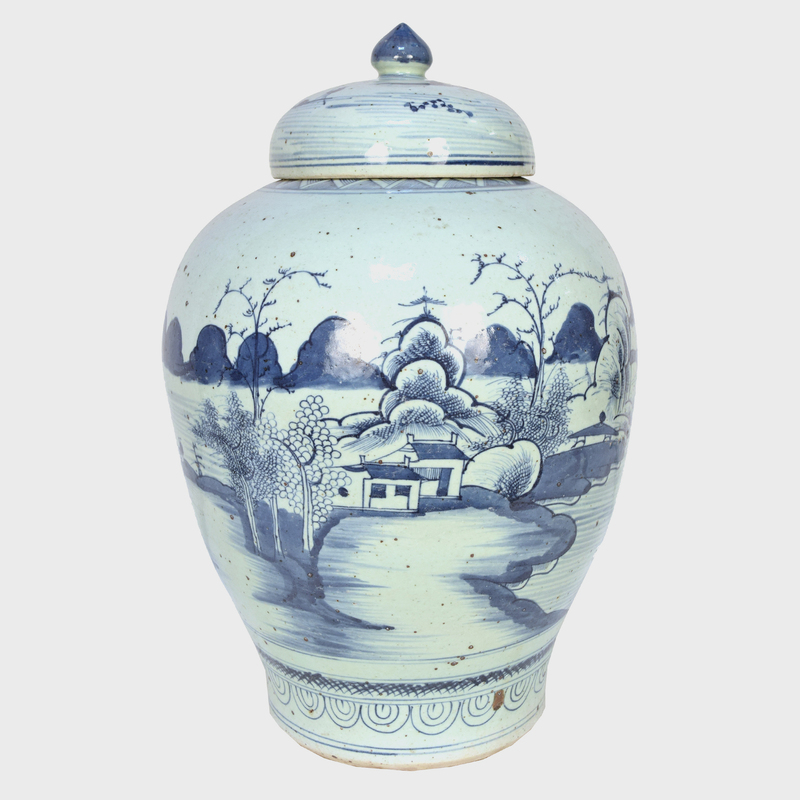 Hand-painted cobalt blue traditional garden scenes encircle the jar on a creamy white background.